EVENT DATE: Saturday, April 20, 10:00 a.m. to 4:00 p.m.
Read the full story about this house! 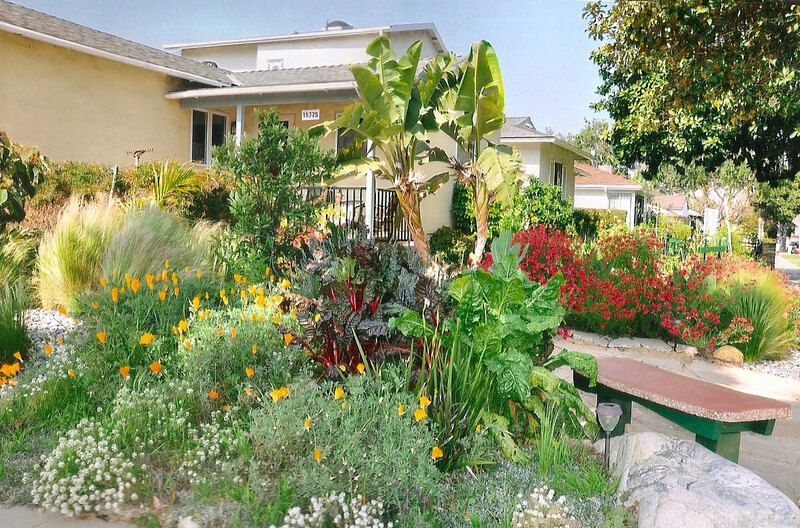 The 5th annual Mar Vista Green Garden Showcase is nearly here! This all-day event encompasses many areas of Mar Vista and extends into Venice, Palms, and other neighborhoods. House #5F (11375 Matteson Ave.—that's it in the pretty picture above!) 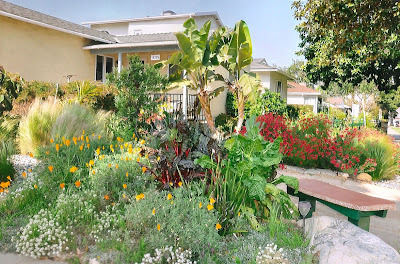 is a hub of activity and the official Transition Mar Vista/Venice and Transition Culver City guest booth. Meet seedling master Matt van Diepen and other members of our Good Karma Gardens crew, and take some fruit tree care tips from master arborist Pieter Severynen. There will be bike parking at this location, too! Consult the Google Map of this year's Showcase to plot your course.